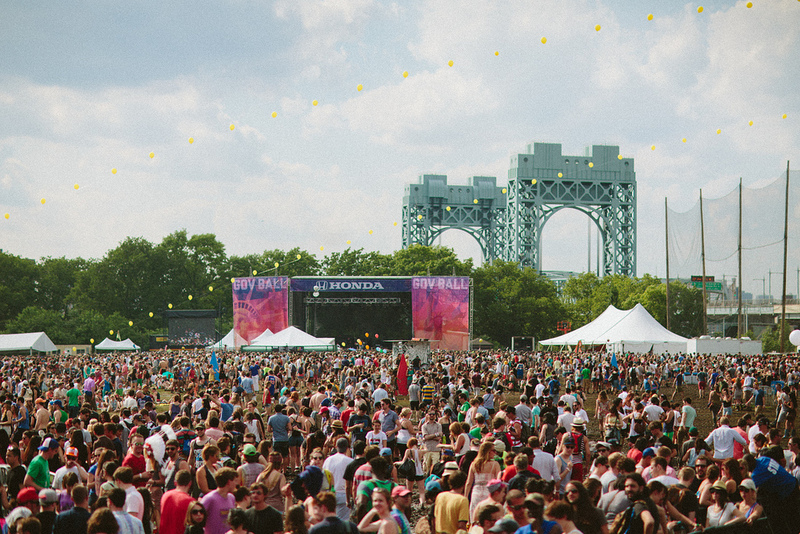 The Governors Ball Music Festival is an experience unlike any other; all the best music, tons of food, and plenty of art make this festival one that any attendee will not forget. Drawing from the classic New York City spirit you’re bound to find something exciting around every turn like a silent disco, giant board games, photo booths, mini golf, and more! Once you’ve sign up and are ready to start getting news about when tickets go on sale, the line up at the festival, and more you are ready to start checking out tickets so you know what to get when the time comes. Before you purchase your tickets you can check out the ticket types that will be available here. Another ticket option is a Platinum 3 Day ticket. This option is very limited, only 100 tickets are available and you have to be over 21. The Platinum ticket grants you exclusive on-stage viewing of select artists, a front of the house viewing area, backstage guest access, concierge service, access to most regular VIP viewing areas and more. When purchasing keep in mind that you are allowed a limit of 8 tickets per person, transaction, credit card, billing address and email. So if you have more than 8 people going, you’ll need one other person checking out with all different information. Consider a payment plan, you might just be glad you did. When checking out on Front Gate Tickets you can add a payment plan to your order to make paying for your tickets a lot easier and more conveniently spread through the months leading up to the festival. You’ve purchased General Admission tickets already, but want to upgrade to VIP, VIP Plus, or Platinum tickets, what do you do? You’ll need to contact Front Gate Tickets directly via email or phone number with your order number and ticket information. Shuttle and Ferry tickets can be purchase on the website. Live it up in style with a Cabana or Luxury Suite. Friday May 31st: Tyler, The Creator, Lil Wayne, BrockHampton, Gesaffelstein, Jorja Smith, Blood Orange, Mitski, The Internet, Jessie Reyes, M0, Hippo Campus, Amber Mark, The Voidz, Rolling Blackouts Coastal Fever, Cautious Clay, Jeremy Zucker, Dennis Lloyd, Miles Kane, Hundreth, Still Woozy, Njomza, Deal Casino. Saturday June 1st: Florence & The Machine, Major Lazer, The 1975, Kacey Musgraves, Zhu, Vince Staples, Lord Huron, TY Dolla $ign, Playboi Carti, King Princess, Denzel Curry, Clairo, Ravyn Lenae, Saba, Elohim, Sunflower Bean, U.S. Girls, Calpurnia, Dreams, Suzi Wu, Easy Life, Tobi Lou. Sunday, June 2nd: The Strokes, Nas, Sza, Louis the Child, Kaytranda, Sheck Wes, Beast Coast (Joey Bada$$ & Flatbrish Zombies), Lilly Allen, Bazzi, NoName, Charlie XCX, Bob Moses, SOB X RBE, Chelsea Cutler, 070Shake, Parcels, Taylor Bennett, Soccer Mommy, The Underachievers, Kirk Knight, Nyck Caution, Jack Harlow, Aaron Aye, Shaed, Ric Wilson, MKultra. We’ve provided a lot of information for you to look through, and we understand if you missed something. If you have questions, don’t hesitate to email the festival, or you can ask us at contact@ticketcrusader.com.